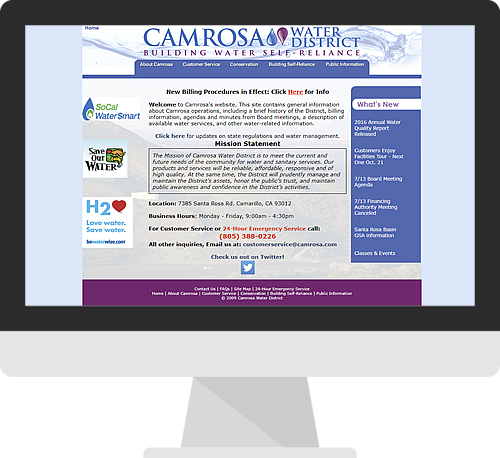 A custom website re-design on a new platform gave the CAMROSA site a modern look and feel with the flexibility and power to update and maintain the site in-house. 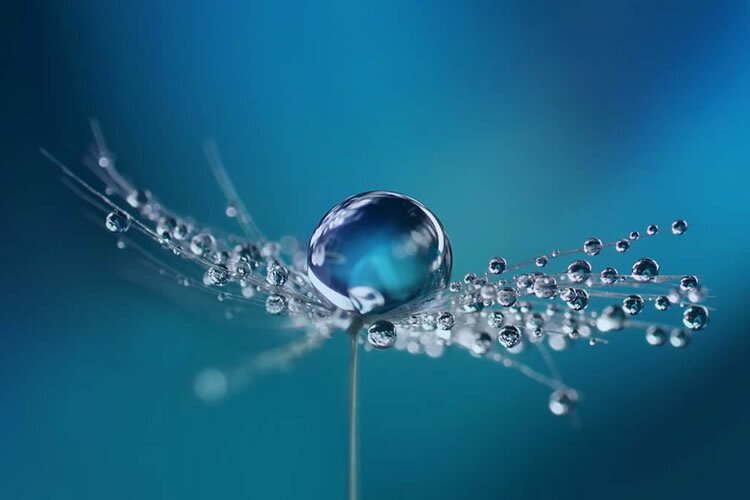 Camrosa prides themselves on being an efficient and innovative water district committed to maximizing local resources that ensure continued reliability and affordability for our customers. Reliable. Affordable. Responsive. Sounds like how we like to work too. 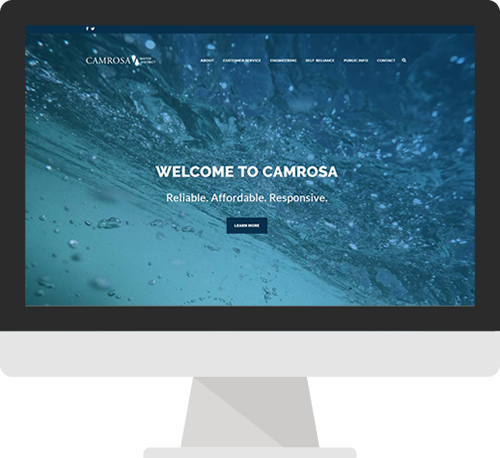 A responsive site was a must for Camrosa’s customers to be able to access information as well as the payment portal. Cross platform design is so important today. Almost 50% of all website traffic is generated from mobile devices, so a mobile friendly site is no longer optional. A site that looks professional and is easy to navigate, just as much on your phone as it is on your laptop, is the key to a well done responsive design. The power to manage their website – at our client’s fingertips. Having the ability to update the website in-house was a key requirement when developing a new site. We enjoy empowering our clients to be able to take their online presence into their own hands. Providing a robust and flexible content management system (CMS) and foundation to power the site makes it all come together. While our clients can maintain their site, we’re always here to help. For Camrosa it wasn’t just about redesigning the look and feel of the site, it was about creating a user experience that was simple to use and enjoyable at the same time. 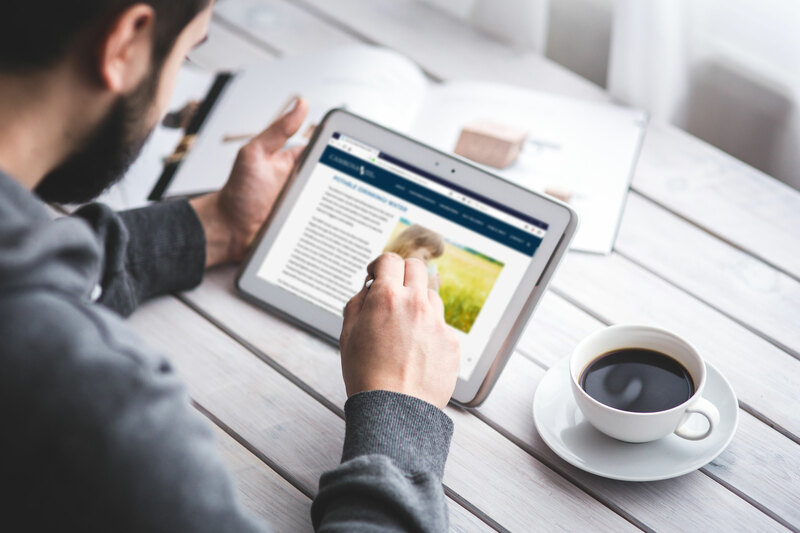 As a public works entity, they wanted to stand out from the crowd and offer their customers a site that showcased the importance of one of our most precious resources – water. Local landscape imagery is featured on the site bringing the beautiful surrounding area front and center.